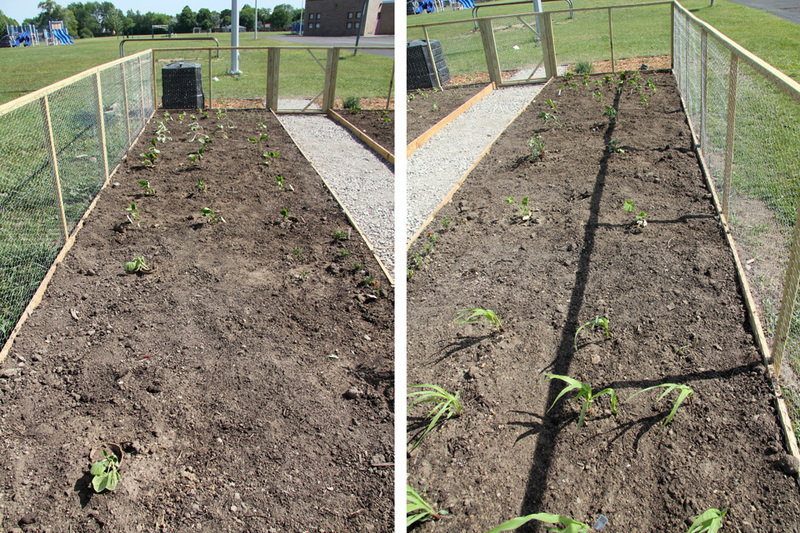 It all started with a question, “do you want to help me with the school garden?” one of the parents at school asked me. I had been wanting to get more involved at the kids’ school. Being a stay-at-home parent, that’s one thing I knew I planned on doing. But to be honest, the thought of it always gave me a little anxiety. You know, I’m typically the only guy with a bunch of moms, which I have no problem with, but with a new group of people I wonder if they are okay with it. I’m proud of what I do, but I still struggle with owning it. That’s my reality. Since this is a Japanese school, there is usually a language barrier of some sort too. And in those situations all of my insecurities get magnified in my head. It bothers me for sure, but not enough to keep me from doing it. So when she said, “Do you want to help with the garden?” I automatically said “yes.” I figured it would be a great intro project for me. With someone else in charge, I could just follow orders. Plus, I’m good with grunt work. And immediately began to panic. What did I just agree to? I decided if I was going to do this, I needed to do it right. 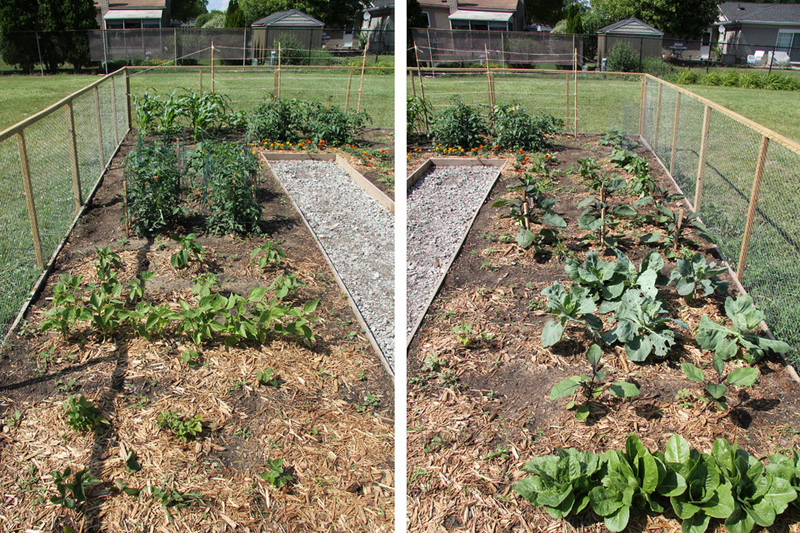 The existing garden was in some serious need of love. It was just a batch of dirt in the middle of a patch of grass. The border had been overgrown with weeds and was looking pretty sorry. I needed to go all in. I wasn’t going to just dig a hole in the ground and plant some tomatoes, I was going to build raised beds, with a fence, a gate, and a gravel path. But before I could start, I figured I should probably get the principal’s approval. What was I getting myself into? Now, when I used to work in the office, I had to put together presentations and walk executives through plans and get approvals all the time. It was just part of what I did. But that was almost a decade ago. It’s been a long time since I planned or put anything together other than a menu for a kid birthday party. So initially, the thought of presenting my plan to the principal was a bit terrifying. This was much more than a garden project to me. I’ve been struggling with fear, depression, and motivation all year. I’ve been stuck on the couch binge watching TV shows to distract my mind. I needed this. I needed something to get me out of the house and help me realign my mind. This was that. I drew up some sketches of my plan. I did some basic price estimates and psyched myself up and asked the principal for a meeting. The funny thing is, she didn’t ask for a presentation. She didn’t even know there was conversation to revive the garden, which made it even more ridiculous how much anxiety I had over this whole project. For the following two weeks I gathered and sourced materials and started building. After school, the students would come out and help too. They helped hold the level and tape measure. They even helped shovel dirt and rake. 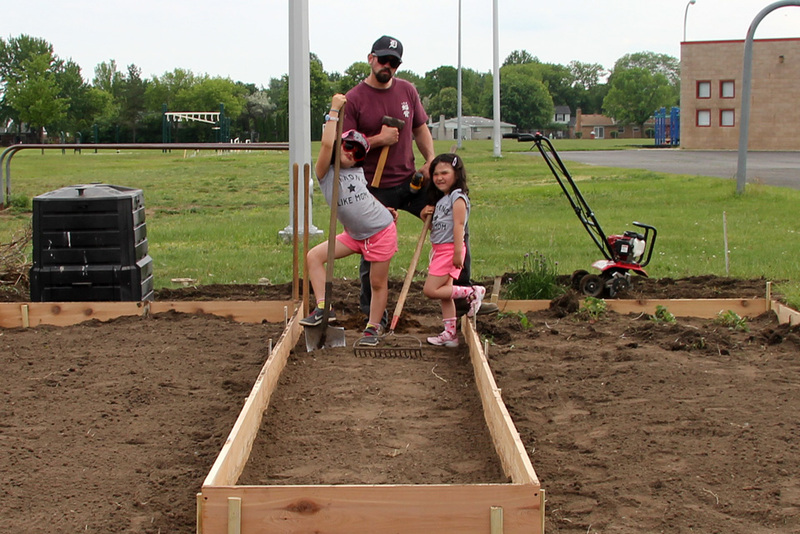 When it was all done and ready for plants, the school brought the kindergartners out in small groups to participate in the planting. It was a big hit! As much as I did this for the school and the kids, I also did it for me. It was really satisfying creating something literally from the ground up. To dream it, sketch it, build it, and even have the students pitch in was extremely rewarding. I completed a project, and that was big for me. 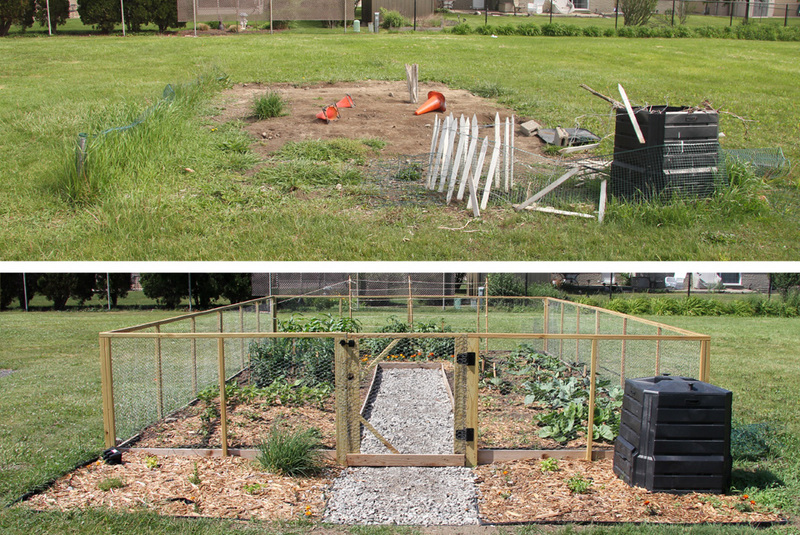 I’m hoping that it really does become their community garden, and hopefully the late summer harvest gets incorporated into class lessons when school starts. Until then, I just need to make sure it stays alive and thrives! Because I certainly don’t want to end up in The Principal’s Office again. Thanks Tim! That is on my list of things to do. The sign is a really good idea. 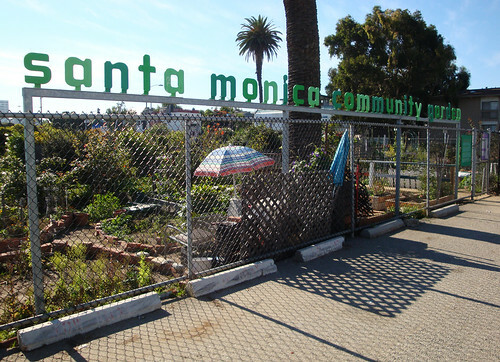 Your community garden looks great! do you have a plot there?